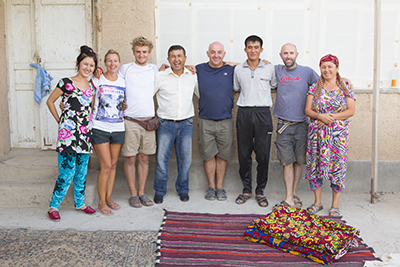 The Story so far: We have driven through Iran and spent the last three nights in Turkmenistan. Earlier today we crossed the border to Uzbekistan. We stopped at Bukhara for lunch. Children love Bukhara’s ancient architecture! This entry was posted on April 27, 2014 by laurienoble. It was filed under Uncategorized and was tagged with 5D III, Canon 1DS III, Canon 24-105mm, Canon 24-70mm, Canon 70 - 200mm, Fiat Panda, Lowepro CompuTrekker, Mongol Rally, Photo, Photography, Travel Photography, Uzbekistan.